A story caught my eye a few weeks ago about the discovery & analysis of a old type of medium called a "Phonautograph" from 1860. 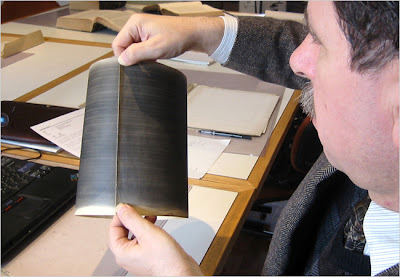 It is basically a piece of paper with markings that were recorded from sound. The remarkable thing is that the researchers were able to translate the recordings back into sound. The resulting audio is on the New York Times website and it is fascinating & also creepy as hell. Playing the song feels like you are opening a portal that closes the gap in space & time between the long-gone person whose voice now magically reaches our ears. Of course, sensory-recording media is omnipresent today, but the pre-audio age of this particular find is what gives it a mysterious quality. The other amazing thing about the recording was that the inventor had not even conceived of a way to play the audio back!!! The imprint of the waveform created by the singer's vocal cords was 'frozen' in an abstract state for over a century with no one ever hearing it played! This use of current technology to unlock the data is a testament to the ingenious foresight of the inventor- Édouard-Léon Scott de Martinville. This is all fascinating to me, & it made me think about the ephemeral nature of human communication, in all its forms. Mankind is just a quick flash in one of the Universe's brain cells, but as a species we strive so hard to achieve the absurd notion of immortality. We are continually trying to create a lasting presence through art, architecture, sciences, stories, and all types of cosmically futile efforts. *Why even bother with such "trivial" pursuits, then??? "We are humans and that's what we do." Language defines our experience in all its forms. The craving for connections that people are perpetually seeking can span moments, lifetimes, and generations through language. Animals communicate, too, but we can just guess what aspects of consciousness they are perpetuating. One of our "cosmically futile" (but sociologically noble) pursuits is the preservation of dying languages threatened with vanishing due to the disappearance of the cultures that used them. It must be incredibly lonely to be the last person to speak an extinct tongue, knowing that untold legacies will also go with you. This compulsion for preservation of knowledge is especially evident right now, as the internet and other media are used non-stop to cache more and more of the human experience each passing minute. Hopefully these efforts will prove to be cosmically futile much, much later than sooner. One one of the many things that have the potential to do both great service & also great harm to the human race is robotics. We've already taken a huge ethical leap towards the negative with the creation of military robots. I've lamented the apparent future Robot Army that is on a subtle, yet unstoppable, path that should concern all protoplasmic beings. The Colbert Report featured "Bumbot," created by a US Defense worker-turned-bar owner to keep derelicts off the street after dark. It is equipped with lights, loudspeaker, & water cannon to disperse local homeless and vagabonds. Obama: Won't Enslave the White Race!!! Jon Stewart on the Daily Show has been giving a so-so performance lately. It seems like he expects unfunny things to be funny just because he's saying it. It's a stark contrast to Stephen Colbert's sharp character-driven wit. Both shows are great in their own way, though. However, the iconic Mr. Stewart made up for any recent mediocrity with the single most absurdly poignant question of the campaign to Barack Obama, that comes toward the end of the 1st part of the interview. He exposes the ridiculous undercurrent of perceived racial implications of a non-white person leading the country. JS: Sir, we are concerned that ultimately, at the end of the day, if you are fortunate enough to get the Democratic nomination, fortunate enough to become President of the United States, will you pull a ‘bait and switch’, sir, and enslave the white race? Is that your plan? And if it is your plan, be honest, tell us now. BO:That is not our plan, Jon. But I think your paranoia might make you suitable as a debate moderator. 1) his request for Obama to "add hope" to stupid phrases. I could absolutely write better segments than that. 2) Stewart's obnoxiously self-indulgent recommendation of some unknown restaurant near Pittsburg. wtf cares? 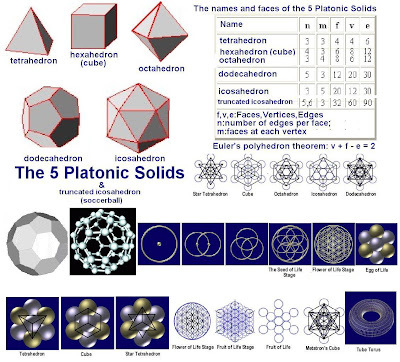 I'm posting what could be considered a primer in the knowledge of Sacred Geometry. This is one of the concepts behind the strategy game I created, Da Vinci's Challenge. is the mystery of the ages. I found this picture in an interesting set of images on Flickr by "Mirahorian". It's hard to find someone whose folly approaches the legendary status of 2004 Bush supporter Pat Peale. 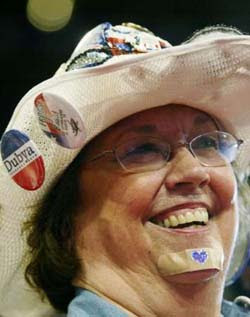 She is the nitwit that's remembered (probably by nobody except me) for wearing a Purple Heart Band-aid mocking John Kerry at the GOP convention. Being a moron in that big ol' ship of fools was understandable. Unfortunately, ABC found the Democratic counterpart to the lovely Ms. Peale. Thanks to the power of the Internets, saying something incredibly retarded on TV freezes your foolishness in time forever. Therefore, Nash McCabe will be forever remembered as the "Flag Pin Lady" because of her profoundly idiotic question to Barack Obama about if he loves the flag. Obama (like 99.9 percent of Americans) has the nerve not wear some crappy, imported lapel pin of an abstract symbol representing an abstract concept - the flag of the United States. This was by far the worst moment of ABC's disaster of a debate on Wed. night. 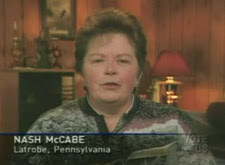 I'm sure Mrs. McCabe is a fine person, but posing a question of that level of mind-numbing stupidity is bound to attract the ire of thinking people everywhere. She has done the country a positive service, though, by showing that this type of childish thinking is not acceptable in serious discourse concerning the issues of the nation. Of course, ABC's producers are a bunch of jackasses for allowing this garbage to enter the debate. to attack America on 9/11?!?" I might have to answer 'yes' to that. Why? Because I found myself laughing (much to my own horror) at some of the lines delivered by The Evil One himself during the Radio Correspondent's Dinner. Perhaps my mind was so terrified of the sneering Beast-Man who has wreaked havoc upon the world, that I was laughing due to some subconscious defense mechanism. ...or I would feel as disgusting & guilty as if I was sitting at a banquet w/ Vlad the Impaler - having a chuckle while bodies on spikes were writhing around me. 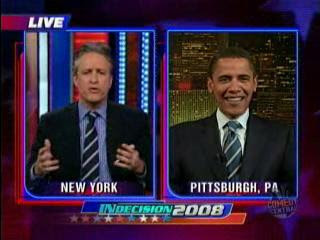 Jon Stewart Interviews Pres. Bush! Ok, so it's actually Will Ferrell... but it's funny stuff, especialy considering how hard it is to outdo the ridiculous antics of the real Dubya. It seems like it's been a while since our "Leader" has made me cringe. I thought I was either becoming numb to his lunacy- or it's just been overshadowed lately by other news. "Bush Thanks Pontiff at White House"
Is it January 2009 yet? After the Daily Show, I watched the Pope giving a speech in English on CSpan for a little bit - but The Colbert Report is more important, of course. If Joey the Rat's accent wasn't so bad, or there were subtitles, I may have watched a tiny bit longer. As I was wathing the news earlier, I also realized it really pisses me off that the Pope drives around in a bulletproof Pope Mobile. It proves that he doesn't believe he's really in some kind of special rapport with an all-powerful deity. He's a mortal man in a position of enormous earthly power. And he's the total icon of humility with all the robes, fur, & glitz. 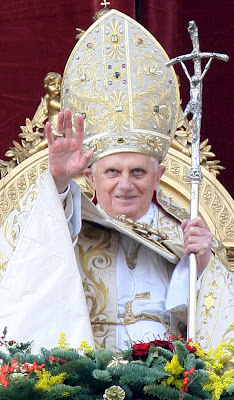 I'm sure "Peter the Roman" will be much cooler than the current Emperor Palpatine lookalike. Watch out for the Force Lightning!!! 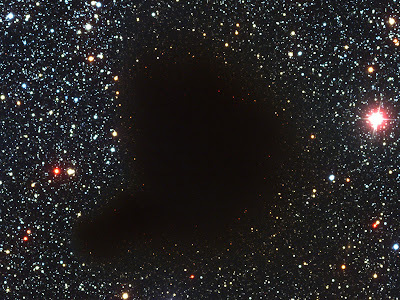 I saw an image of what is considered a "dark molecular cloud" of cosmic dust. Seeing this picture, I couldn't help thinking... what if the dark mass was actually an immense extraterrestrial swarm of nano-machines? It would be amazing & terrifying at the same time. This sentient cloud would be similar to the form that the Marvel character Galactus has been portrayed in Marvel Ultimate comics & the Fantastic Four: Rise of the Silver Surfer movie. This precursors of interstellar nanotechnology are already being explored here on Earth. • NASA is experimenting with tetrahedral forms in a primitive version of autonomous swarm technology. • The University of Glasgow is taking it closer to the molecular scale by designing interacting devices comparable to dust particles, only millimeters across. Hopefully we never have to find out. Ebaum's World gives me countless reasons to be ashamed of my own species. & lose all hope for mankind. This ridiculous trailer is so bad that it actually transcends "bad" - & ends up just being hysterical. After posting the designs with hidden optical messages, I decided to try to replicate the effect in Photoshop to create my own phantom message. It took me about 30min of experimenting to get a decent result... I could briefly explain the process, but I really don't feel like it. Besides, anyone who is fluent in Photoshop should be able to figure out a method. I was watching reruns of the saliva-monster Chris Matthews interview Barack Obama on the "Hardball College Tour". I've been mostly for Obama since John Edwards dropped out... but tonight "Osama-bama" sealed the deal for me. He had the good sense to pander to the creative engine of the American marketplace - the graphic designers! While discussing the need to provide schoolkids with mentoring for future careers, Sen. Obama used the example of a student interested in art that could learn from a professional graphic designer. His preacher can go bananas for all I care, he's the first presidential candidate I've heard acknowledge America's design industry. Art is an important intellectual aspect of any culture & it's a vital resource that cannot be outsourced. To have a President intelligent enough to even recognize that fact alone would be a godsend. 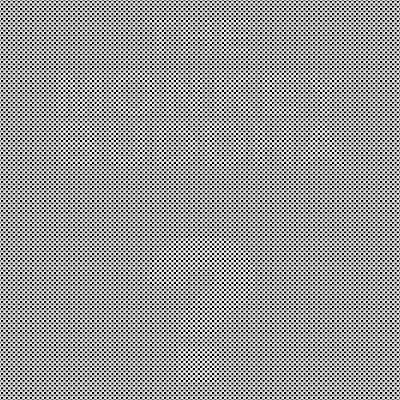 I usually browse the first page of FFFFOUND! for a dose of visual inspiration each day. 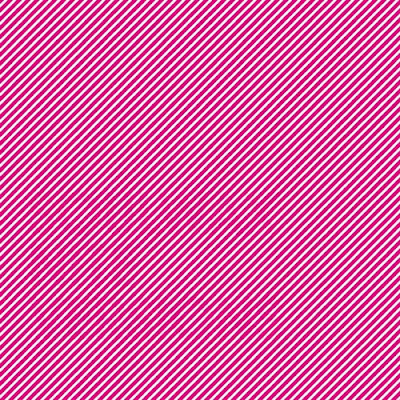 I saw these awesome optical illusion/designs that look like a field of dots or lines. 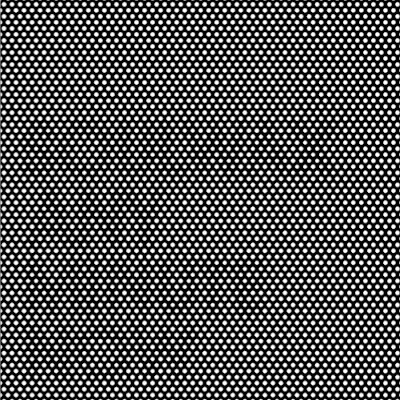 It appears they are album sleeves for a band called Soulwax.